Home » Campus » Area » Booze, books and the balance: How does alcohol play into the college culture? Booze, books and the balance: How does alcohol play into the college culture? On a recent Saturday in Columbus, bars opened before 6 a.m. to accommodate for the gameday ahead. That’s how early some Ohio State fans started drinking in anticipation of the noon football game against the University of Michigan. Earlier that week, about 14,000 people had flocked to Mirror Lake for the annual tradition where fans jump into the lake to show — in some way — their disdain for Michigan and love for the Buckeyes. Many of the people who jumped were intoxicated, and four medical transports and four arrests were made at Mirror Lake that night, according to the University Police log. It’s events like those of Beat Michigan Week that demonstrate the way that alcohol and college mix together. According to experts and students alike, students at college campuses are drinking, but not always without consequence. 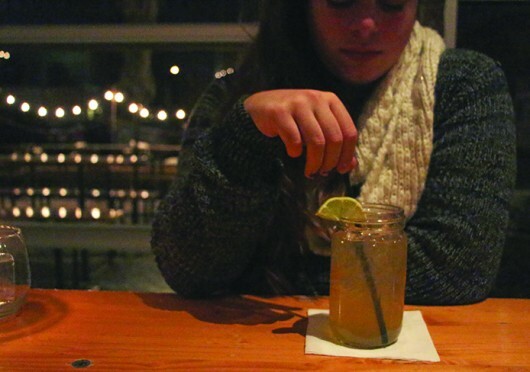 A second-year OSU student in speech and hearing sciences, who wished to remain anonymous because she isn’t 21, said she started drinking every weekend when she came to college. “I personally liked it because I wanted to experience it but I didn’t think that there was any pressure whatsoever,” she said. She now lives off-campus and said that has changed her drinking habits in that she drinks more often but more moderately. After all, college drinking isn’t rare. About 80 percent of students drink, according to the National Institute on Alcohol Abuse and Alcoholism. And half of those who drink aren’t stopping at a beer — they’re binge drinking, drinking to get drunk. That means having about four drinks in two hours for women, or five drinks in that time for men, according to the NIAAA. But even though drinking is common, problems can arise. 1,825 students between 18 and 24 years old die from alcohol-related injuries. About 599,000 students are unintentionally injured while intoxicated. More than 690,000 are physically assaulted by someone else who had been drinking. 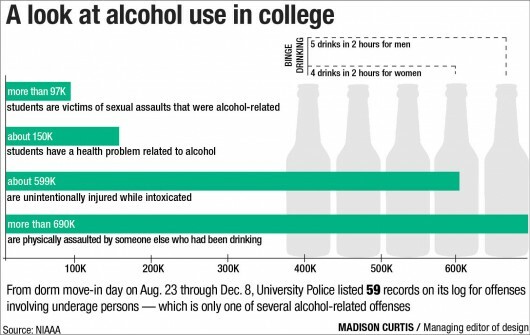 More than 97,000 students are victims of sexual assaults that were alcohol-related. There are academic repercussions — every year, about 25 percent of students report receiving lower grades or other consequences because of drinking. And there are personal health concerns — 150,000 students have a health problem related to alcohol, and somewhere between 1.2 and 1.5 percent report attempting to commit suicide because of drinking or drug use. But why do students drink in the first place? The NIAAA said “unstructured time, the widespread availability of alcohol, inconsistent enforcement of underage drinking laws, and limited interactions with parents and other adults” all are factors that lead to many college students drinking. It also noted that students at schools with big Greek systems and athletic programs — like Ohio State — tend to drink more than those without. There are a few reasons for that, said George Comiskey, the associate director of Texas Tech University’s Center for the Study of Addiction and Recovery. And at West Virginia University this fall, Greek Life was suspended after an 18-year-old freshman student died 36 hours after falling unconscious during an underage drinking party at a fraternity house. “Two of those issues needing to be addressed are alcohol and the irresponsible and reckless behaviors that often follow. It is a culture we must change at West Virginia University. Indeed, it is a culture that needs to be changed at nearly every institution of higher education across this country,” Gee wrote. OSU works to distribute messages about how to “party smart” (the name of one of its initiatives) and what the truth is about how much students are really drinking. 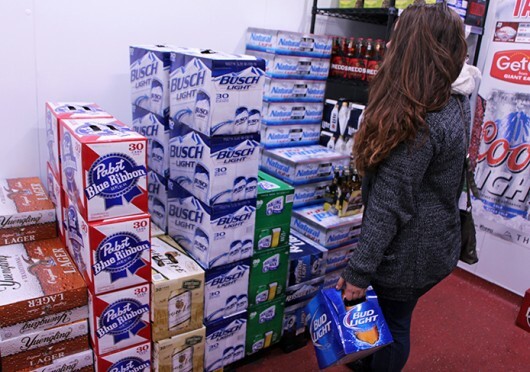 According to a Student Wellness Center Comprehensive Prevention Plan, 68 percent of OSU students think the average student on campus drinks three times or more per week, when in reality, about 28 percent of OSU students drink that often. The plan also stated that 80 percent of OSU students have six drinks or less when they party. “Because individuals’ behavior is, in part, formed by what they perceive to be normative behavior in their community, misperceptions regarding drinking norms are theorized to be one factor that leads to high-risk drinking on college campuses,” the plan stated. OSU follows federal, state and local laws when it comes to alcohol — students under 21 aren’t permitted to buy, possess or drink alcohol, and it’s not permitted in the residence halls except, in most dorms, for students 21 and older. Even then, those students can only drink the beverages in their room or the rooms of others who are of age. From 2005-06 to 2010-11 — the most recent year for which numbers were posted — OSU Student Conduct cases involving alcohol charges zigzagged. In 2005-06, there were 93, but that figure fell as low as 23 in 2008-09 before rising to 293 in 2010-11. In 2010-11, 36 cases involved alcohol and/or drug assessment sanctions, and 74 required Brief Alcohol Screening and Intervention for College Students or Cannabis Screening and Intervention for College Students sanctions. But students still drink, on and off campus. The student studying speech and hearing science at OSU said she’s rarely been affected by alcohol biologically the next day and hadn’t ever thrown up from drinking, but some of her friends have. The student talked about how she’s picked up two friends from the hospital in the past. Still, she’s not concerned in the short-term for them. And while she said it’s important that people find out their own limits, she noted that it’s hard for parents or educators to make a difference in the culture. The student said in her opinion, it’s probably best for friends to intervene at the time when things aren’t going well while drinking. Michele Theodore and Chelsea Spears contributed to this article. 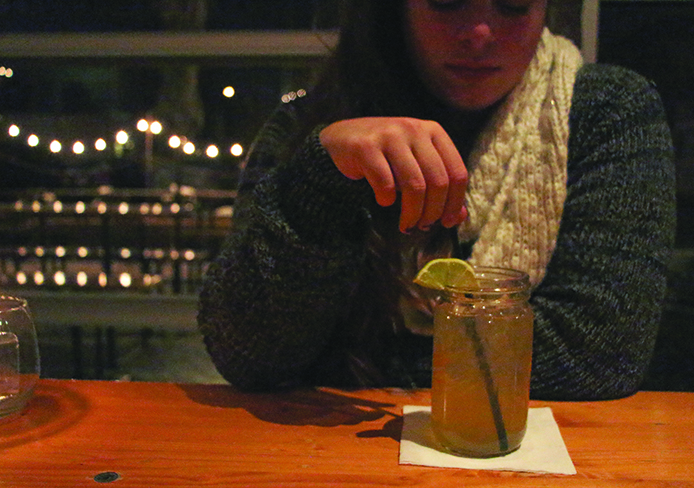 This article is the first in a series about alcohol use on Ohio State’s campus. The series was made possible by the generosity of Ohio State and The Lantern alumna Patty Miller. I would like to see a study that compares college binge drinking in Europe or other countries where the drinking age is lower and parents often allow their kids to have small amounts of wine or beer. I think one of the reasons college students drink so much is that they have never been taught to moderately drink from their parents and that when they get to college it is first time they have easy access to it. Making something somewhat of a taboo and hard to get makes it seem more intriguing and interesting. It’s funny that Gee said that. He was the one that wanted to change the drinking age to 18 here.